“Encounter with God” is a quarterly evangelistic retreat promoted by one of our Free Methodist churches in the greater Brasília area. Dan spoke three times this past weekend and 22 persons made decisions to “return to the Father’s house.” What a wonderful time of salvation, healing, and initial steps in the Christian walk. This was the fourth retreat that Dan has attended as a speaker and counselor. At this particular gathering he had the opportunity to join three FM pastors and a ministerial candidate in focused ministry. Mentoring and mutual support occurred before, during, and after the scheduled meetings as they assisted one another through prayer, counsel, and encouragement. As the team of pastors and church leaders grows stronger in the greater Brasília area, we look to establishing five new churches in the metropolitan area over the next ten years. It is ministry efforts like these that are building the foundation for greater growth. That is so awesome! What a great vision and team work! Praise God! May our Father continue to use both of you to help the Church grow stronger and more effective. Dad Bell was blessed when he traveled to India recently to see what God has been doing there, using some of his former students too to build many strong churches. In 1996 the Kalamazoo FM church took it’s first ever missions trip to São Paulo. Some of our team members stayed with Joao and Cida. The 6 members of the team became very close with Joao’s family and the pastor, Everaldo and Ana. In 1996 we sent another team to continue on the church project there. It was after that I remember them making the move to Petrolina, and eventually entering the ministry. Filipe and his new bride, Joyce, were with us last night here in Brasilia for a church fellowship gathering at our apartment complex. 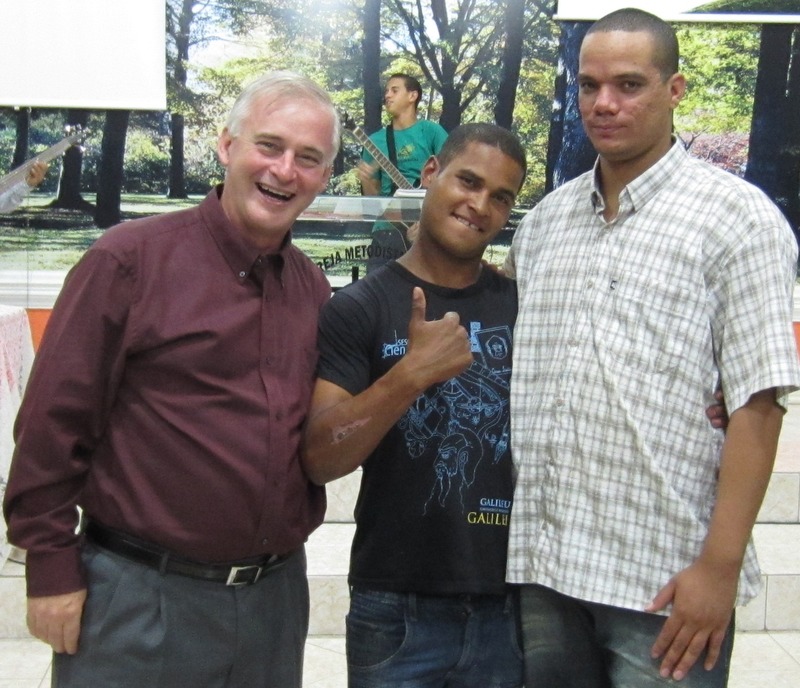 Your investment as a missions team is paying wonderful dividends for the Brazilian FMC. Joao’s family remember with thanksgiving and praise the Kzoo team. Praise the LORD. Through Filipe, we hear from Joao and Cida. They are still very active in the work of the church, pastoring a local church in Petrolina and leading the provisional annual conference in the NE.